THE PHILADELPHIA DANCE HISTORY JOURNAL | From minuet to hip-hop, from colonial assemblies to flash mobs; it’s all here. These next few posts will explore the urban spaces where Philadelphians danced—where they performed for audiences, taught classes for adults and children and where they hosted their elaborate balls during their winter social seasons. In this post, I’ll talk about two halls, two hotels and two theatres. Clicking on any image will open it larger in a new window. The map above, from 1795, shows the dark shaded triangle that was the built up part of Philadelphia about 1795. Its broad base stretches along the Delaware Riverfront on the right and its apex barely reaches to 10th Street just north of High (Market) Street, pointing toward the empty Public Square to the west where the tower of City Hall would rise a hundred years later. Click on the map to see a larger version. 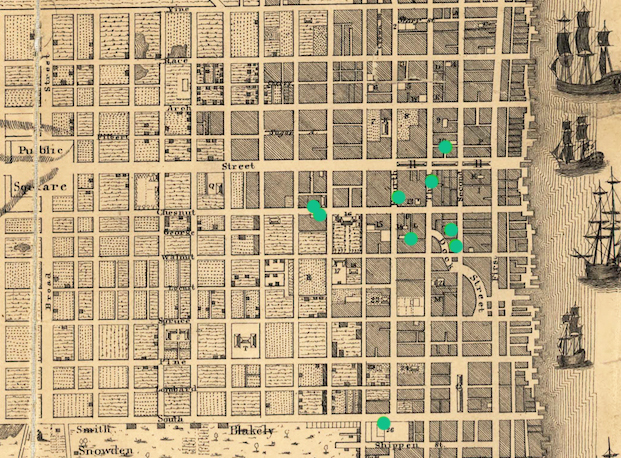 The cluster of green dots just below the market stalls of High Street show the concentration of dance spaces in Old City. They are at the heart of a densely populated commercial area, full of inns, banks and shops. 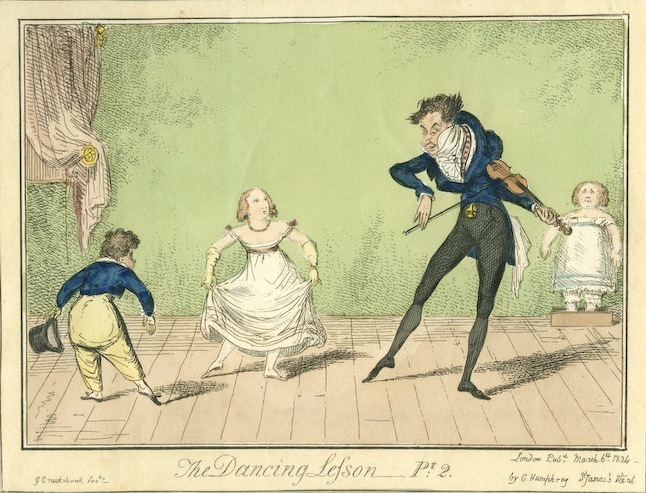 The long sets of country dances popular in the eighteenth century required long unobstructed dance floors. In the 1790s, this meant using academic classrooms after school hours, Masonic lodges, taverns, hotels and the large spaces found in public theatres. Only a very few private homes, like that of Samuel and Elizabeth Powel on Third Street south of Walnut, had any kind of space large enough to be called a ballroom. 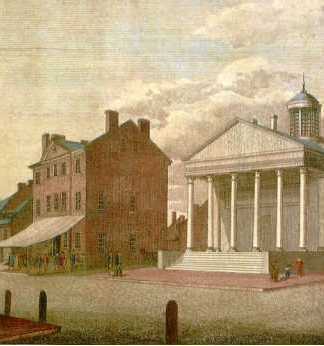 From 1790 to 1800, Philadelphia was the political and social capital of America. Dance teachers and the schools they established flourished, catering to the elite clientele that competed for places in the capital city’s brilliant social scene. 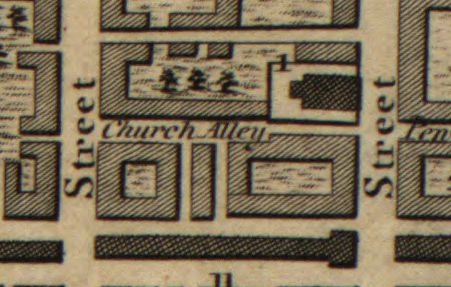 On Church Alley, just west of Christ Church, “1,” above, was Stephen Sicard’s 30 by 40 foot “noted dancing-room.” Sicard had come to Philadelphia from France about 1783, well before the French Revolution. 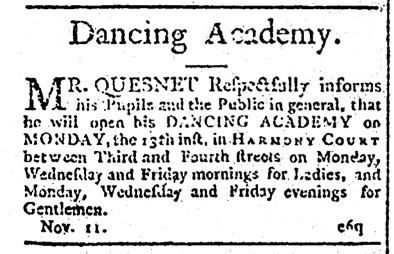 He advertised himself as “a pupil of the celebrated Mr. Vestries, and assistant master of Mr. Gardell, the first dancing master of the Opera at Paris.” His advertisements made it clear that “he would address his pupils in English.” In 1791, he composed a ballet entitled Congress Returns for his young pupils. Sicard was also a musician and composer. He wrote “The President of the United States’ March” to honor George Washington as well as several sets of cotillions for dancing. Sicard taught dance to hundreds of students in Philadelphia for over thirty years, until his retirement in 1815. The large room Sicard taught in was also used for lectures, a fencing school, and a concert series. It was owned by Peter le Barbier Duplessis, another Frenchman who came to Philadelphia after the War of Independence. Duplessis was a notary public as well as a certified translator. He was also a Freemason and rented or loaned his room for masonic lodge meetings. Although a French Catholic, Duplessis became involved with St. Paul’s Episcopal Church, on Pine Street, where he is buried. The little cobblestone and brick brick path that now runs from 4th to 3rd Street just behind the Todd House and the Bishop White House on Walnut Street was once an alley called Harmony Court, above. All the buildings on Harmony Court were razed in the 1950s for the landscaping of what is now Independence Park. The building there, marked in red on the map above, was called Harmony Hall. The dancing hall was on the second floor above a livery stable. Like its counterpart in Church Alley, it hosted meetings, lectures and performances as well as dance classes. At the end of the eighteenth century, several dance masters taught there, including William McDougal, Balthazar Quesnet, Mr. Francis and his good friend, the first American born professional dancer, John Durang. Harmony Hall and the livery stable were owned by an interesting Philadelphian named Israel Israel, right. Despite his name, he was only half Jewish and married a Quaker wife, Hanna Erwin. He ran the Cross Keys Tavern at Third and Chestnut Streets, rented out stables, owned several buildings and served as the High Sheriff of Philadelphia County. He was also Grand Master of the Grand Lodge for many years, so as with the long room on Church Alley, Harmony Hall was also used for lodge meetings. The Israels now rest in the beautiful Laurel Hill Cemetery. 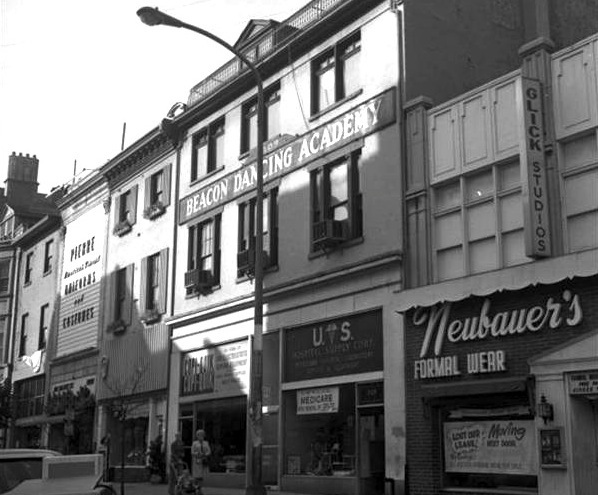 Many of the dance teachers who came to Philadelphia were professional performers who taught classes to supplement their incomes. The two most important theatres in Philadelphia at the end of the 18th century were the Southwark, or “Old” Theatre, on the south side of Cedar or South Street near 4th, and the Chestnut Street, or “New” Theatre on the north side of Chestnut near 6th Street. I’ve already given a detailed account of the Southwark Theatre here, and described how the Chestnut Theatre eclipsed it in 1794. 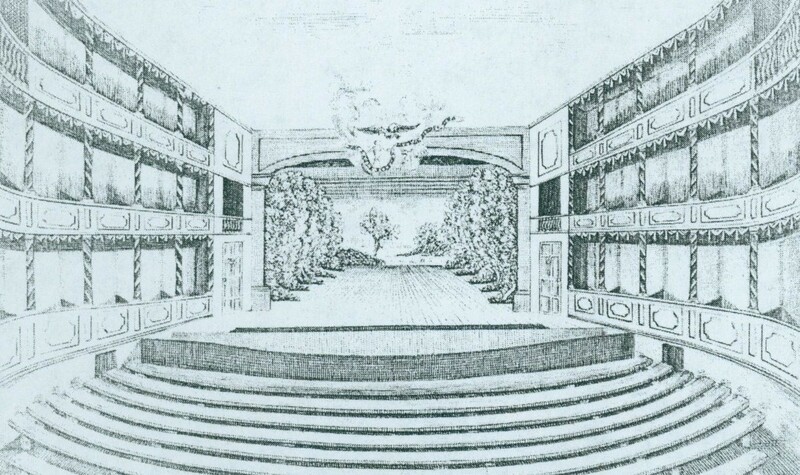 A view of the interior of the original Chestnut Theatre, above, shows the rows of plain benches in the pit and the elegant tiers of boxes on either side. The Chestnut Theatre and Oellers’, both just west of 6th Street mark the gradual shift of the city’s commercial center west that would begin in the second half of the 18th century and culminate in the construction of a new City Hall at Market and Broad Streets at the end of the 19th century. The fourth, and last, part of the “Doing It by the Book” series takes us into the 1920s and the birth of the “Home Instruction by Mail” movement, a precursor of the many ballroom dance DVDs and YouTube videos that proliferate today. In 1919, curiously mustachioed dance instructor Charles J. Frank, left, who had previously taught from his home in Brooklyn and later in Washington D.C., opened the Inter-State Dancing Academy at 1109 Walnut Street. He offered private lessons in the newest versions of the Waltz, One-Step, Fox Trot and Peabody for 50 cents a half hour. The peppy ragtime One-Step would stay popular for a few more years, since it was perfect for the brisk rhythms of the new jazz music. The Peabody was likewise a quick version of the Fox Trot. 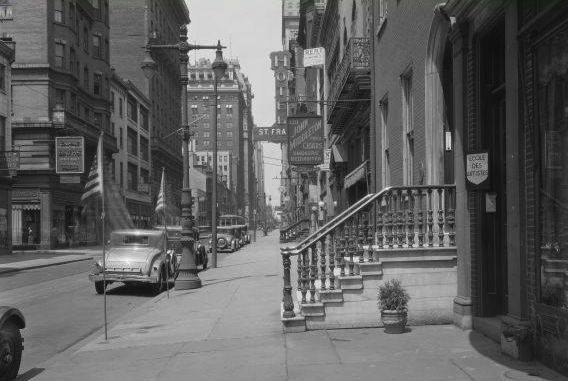 By 1921, Frank had moved the studio to 1127 Chestnut Street, above the Acker Quality Shop, and renamed it “The Beacon Dance Academy.” A year later, he moved the Beacon to 1215 Walnut Street, next to the St. Francis Hotel. You can see what that section of Walnut Street looked like in that period in the photo, below, looking west toward the St. Francis. 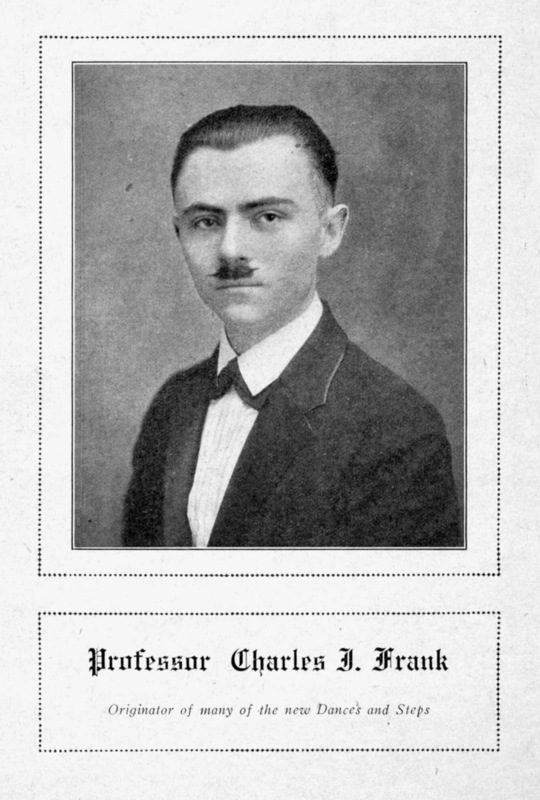 Frank was doing two things that were fairly innovative for 1922. He was using labeled footprints to show the progression and footwork of the dance and he was using the U.S. Postal Service to teach. 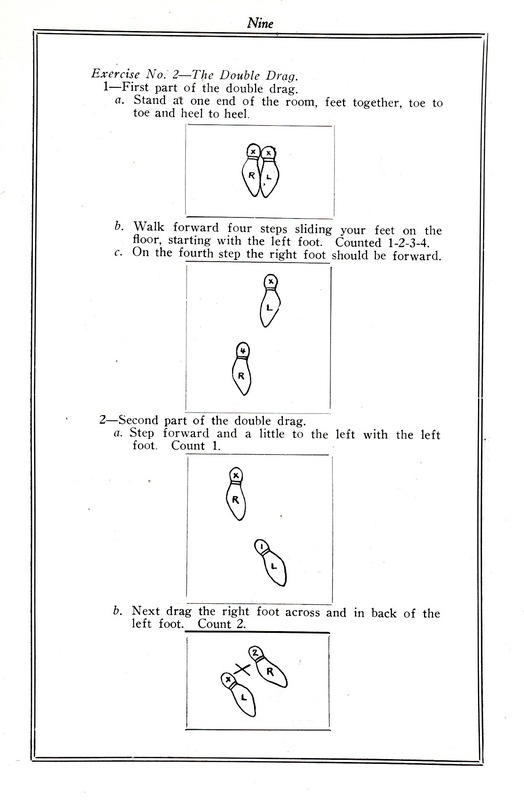 At this same time, another American dance teacher in New York was launching a highly successful dance course by mail that also used diagrams illustrated by labeled footprints. That teacher was Arthur Murray, below. Murray would go on to become an American ballroom dance icon, opening dance studio franchises across the country and earning millions. Charles Frank would sink into oblivion. Was Frank influenced by Murray or was Murray influenced by Frank? Did they even know about each other? Chances are, we’ll never know. The Beacon Academy moved back to 1109 Walnut Street about 1935 and stayed there through the 1970s, as you can see by this photo, below, taken in 1971. The second floor of that building is office space today, and the first floor houses a Subway sandwich shop and a Five Guys Burgers and Fries. Professor Frank’s old 1215 Walnut Street space continued the dance tradition into the 1980s when it was home to three gay discos: Rainbows, the Loft and the Kennel Club. There’s a parking lot there now. 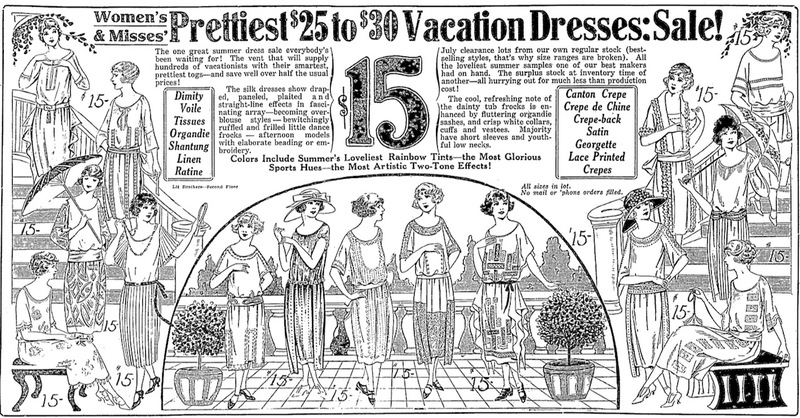 By 1922, women’s dresses for street-wear and dancing were reflecting the trends that would mark the rest of the ’20s; waistlines were dropping and hemlines were rising. In this Lit Brothers ad, above, from a July, 1922 edition of the Philadelphia Inquirer, fashionable hems had risen to mid-calf. (As with all illustrations on the Philadelphia Dance History Journal, click on the ad to see a larger version.) They would rise to the knee by the end of the decade. By 1924, the shortened skirts would allow women the range of motion to do a wild and energetic dance they couldn’t possibly have done in the 1910s – the Charleston. In this series we’re examining Philadelphia dance masters who not only taught throughout the city, but who also left a legacy of dance manuals which they published for their students and the general public. The remarkable Charles Durang, left, was born in Philadelphia in 1793, the oldest son of America’s first native-born professional dancer, John Durang. 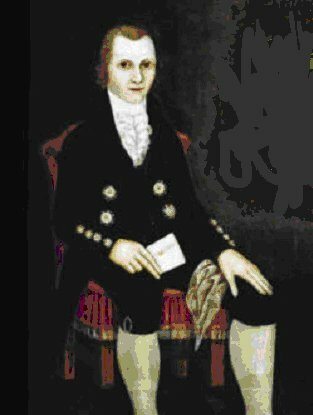 Charles’ brother, Ferdinand Durang, was the first person to publically sing the “Star Spangled Banner” in Baltimore in 1814. Charles began his stage career at age 10 at the Chestnut Street Theatre, dancing in the early English melodrama “A Tale of Mystery.” By the time he died at age 76 in 1870, Charles had been a dancer, pantomimist, actor, author, prompter, stage manager and ballet master in almost every respectable theatre in the United States. He wrote the important “History of the Philadelphia Stage from 1752 to 1854,” which was published serially in the Philadelphia Sunday Dispatch. By the age of 16, he was assisting his father in teaching juvenile pupils at his social dance academy at Harmony Hall, on south Fourth Street. In the 1840s, after retiring from the stage, Charles opened his own school on north Ninth Street. In the 1850s, his daughter Caroline (he’d father 10 children) partnered with him at “Mr. and Miss Durang’s Dancing Academy, cor. of Chestnut and Twelfth,” below. Durang continued his long dance teaching career well into his 70s. He’s buried at the German Catholic Holy Trinity Church at Sixth and Spruce Streets. 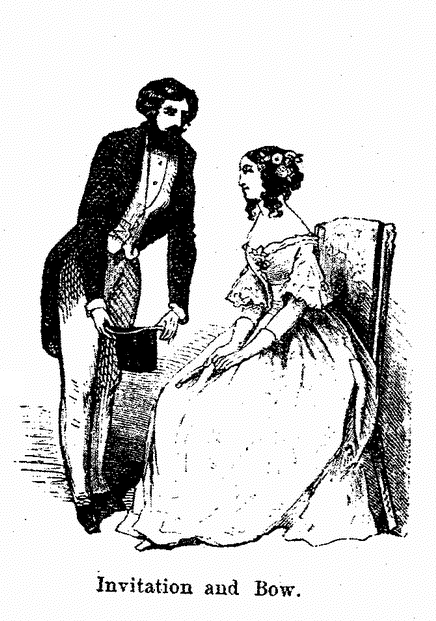 In 1847, Charles Durang published a tiny, 16 page pocket sized booklet called Leaflets of the Ballroom. Later that year, he published a longer dance manual called Durang’s Terpsichore, or, Ball Room Guide. (See newspaper ad from October, 1847 below.) He’d go on to publish sections and excerpts from Terpsichore over the next ten years, managing to squeeze three additional books out of that original publication. He then gives special attention to the new dances that had invaded London and Paris ballrooms from Eastern Europe in the 1840s: the polka, the valse hongroise, the redowa, the polonaise and the mazurka, describing how the steps could be used in the new “mazurka quadrilles.” After touching on old-fashioned line dances like the Virginia Reel, Durang goes on to add the obligatory chapters on ballroom etiquette and costume; “Dancing and etiquette are inseparable. They go hand in hand to impart pleasure and secure a just moral result.” In keeping with the early romantic fascination with the foreign and exotic, he finishes his small book with descriptions of various national dances that had begun to appear on opera stages: the African Chica, the Spanish Bolero and Seguidillas and the Italian Tarantella. 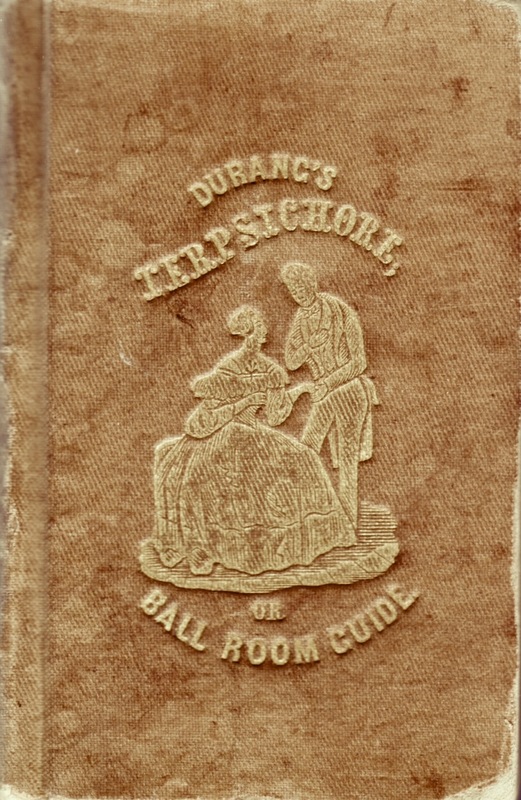 Even though they were derivative of European dance manuals, books like Durang’s Terpsichore help give us a picture of social life, dancing and manners in Philadelphia in the 19th century. 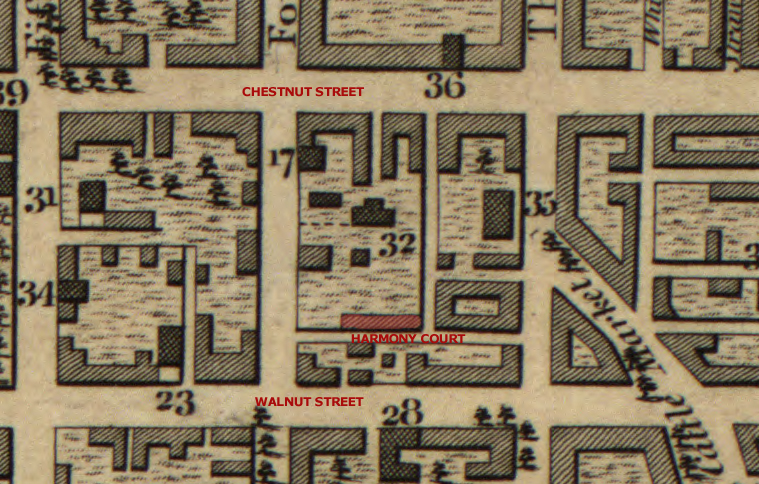 In addition, in the case of Durang’s long career, the gradual movement of the locations of his dancing schools, from Fourth Street to Ninth and finally to Twelfth Street, document the residential and commercial growth of the city as it expanded westward from the original settlements along the Delaware River. Most of the the early dancing masters who came to Philadelphia were professionals who were attached to a theatre or acting troupe. 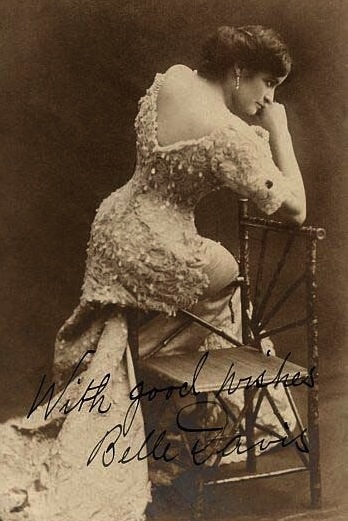 Many of them had performed in London or at the Paris Opéra. They taught classes in social dance to the public to supplement the income they earned from stage dancing. At the end of the 18th century, however, Philadelphia found itself flooded with aristocratic refugees from both the French Revolution and Haitian slave revolts, below, left. It was said that in the 1790s, it was impossible to walk down the streets of the city without hearing French spoken. Some of these impoverished nobles had to support themselves by now teaching the skills that their social positions had required them to learn: drawing, painting, fencing, music and dance. One of these refugees was Victor Guillou, a sugar plantation owner turned dance teacher and educator who would also publish the first dance manual printed in Philadelphia. 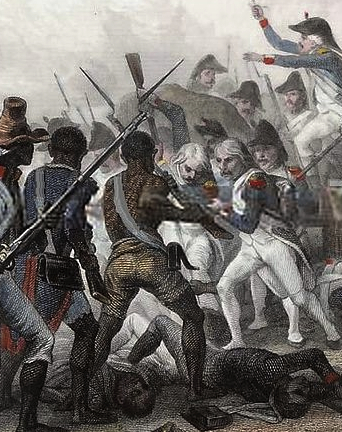 The French Revolution, with its “Declaration of the Rights of Man and of the Citizen” and its radical ideals of freedom and equality, first took root on the French island colony of Haiti, or Saint-Domingue as it was then called, in 1791, fomenting an unprecedented bloody civil war between African slaves and white plantation owners. Slaves at the time outnumbered whites and free blacks ten-to-one. The war dragged on for 13 years, longer than the French Revolution itself, claiming the lives of an estimated 350,000 Haitians and 50,000 European troops, until the free republic of Haiti was declared in 1804. Victor Guillou, the great-grandson of a white Haitian sugar and coffee planter, had been sent to France to study as a youth. In 1794, when the French officially abolished slavery in their colonies, he returned to Saint-Domingue to join the military. As violence worsened, he was able to ship the women in his family off the Philadelphia where he eventually joined them, settling in a house at 294 Market Street. Guillou helped support his transplanted family by teaching dance while his wife opened a boarding school for young ladies. From 1812 until 1819 he held classes and balls at the new Masonic Hall, right, on the north side of Chestnut Street between Seventh and Eighth Streets. The Grand Saloon there was 36 feet wide and 77 feet long, illuminated with gas lit chandeliers. 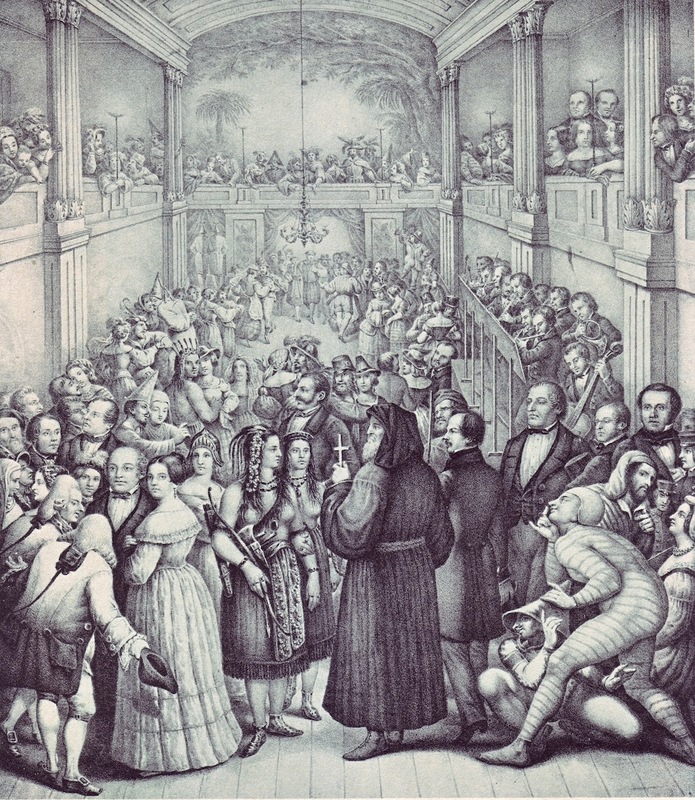 Below is a lithograph of a costume ball inside that Masonic Hall done some years later. 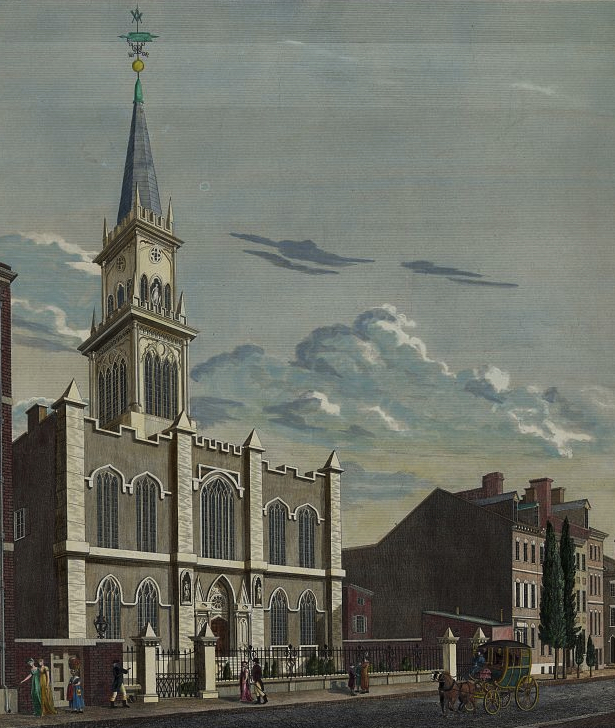 It was badly damaged in a fire in 1819, partially rebuilt, then torn down in 1853. For the next 20 years he’d teach dancing in Philadelphia, at the Masonic Hall on Chestnut Street, at Washington Hall on Third Street near Spruce, then at the new Musical Fund Hall on Locust Street. However, Guillou never lost his desire for the life of a planter. In 1825, he left Philadelphia for a plantation in Puerto Rico. When this venture failed, three years later he returned to Philadelphia and the life of a city dancing master. In the 1830s, Guillou became the first American teacher to employ the pedagogical techniques of Joseph Jacotot, who believed that all men were equally intelligent and that anyone could teach themselves anything. Finally, in 1836, he retired to a sugar estate in Santiago de Cuba, where he lived until his death in 1842. 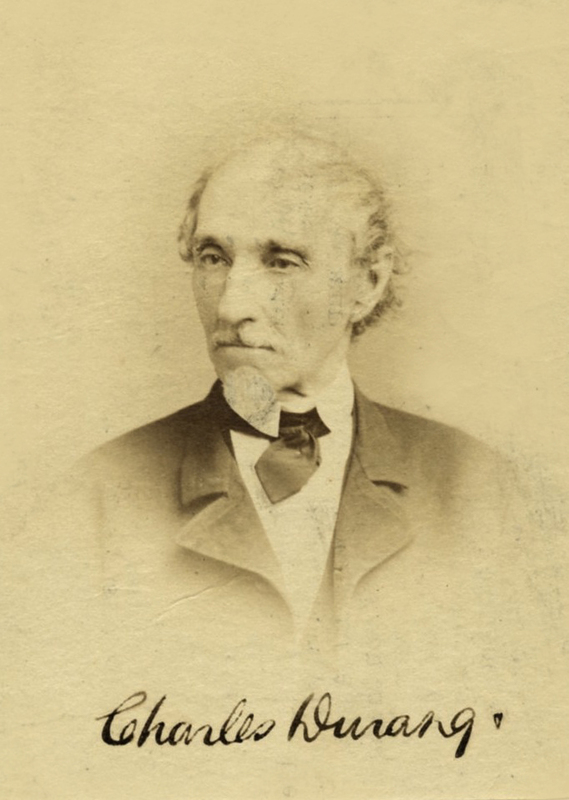 His son Constant would become a prominent Philadelphia attorney and the founder and first president in 1860 of the Philadelphia Photographic Society, the first in the country. 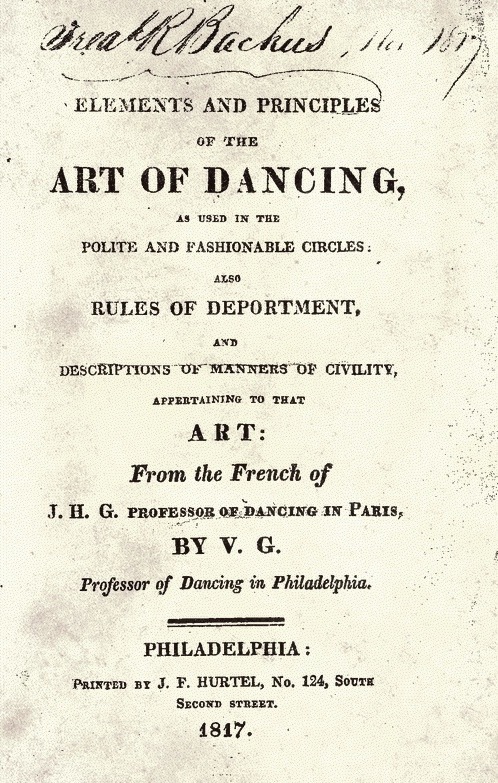 In 1817, Victor Guillou published an English translation of a Parisian dance manual for use by his students and for sale to rural dancers who had no dance master available. 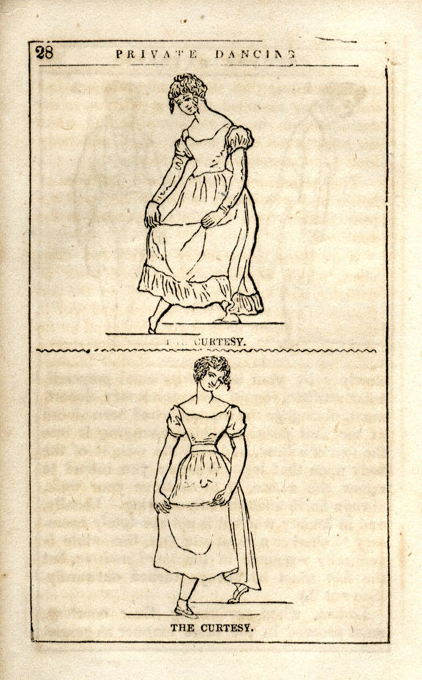 This Elements and Principles of the Art of Dancing is important because of its description of the steps used in the newly fashionable quadrilles, which Guillou calls “cottillions” here. Executed in the third position. In order to perform this step place yourself in the third position, &c. as explained in the former chapters; then place the weight of the body entirely upon the fore foot and straight on the hips. This will naturally disengage the foot behind; bend on the fore knee, raising at the same time the foot behind on the toes, which will cause the hind knee to bend also; hold that knee out well, and unfold it by sliding the foot (near to the floor without touching it) as far as the second position, which it will reach extended at the same instant the leg you stand on will reach its bend. To finish this step, elevate and bring down, at the same time, the extended leg upon the other, in the third position. Where the knees must be straight, you must alight on the toes upon the floor and not suffer the heels to come down heavily; they must be brought down gradually, making use of the strength and elasticity of the muscles of the instep to support the body until they reach the floor. Then push them a little forward, which will considerably assist the turning of the toes and knees out. Practice this alternately with both feet. 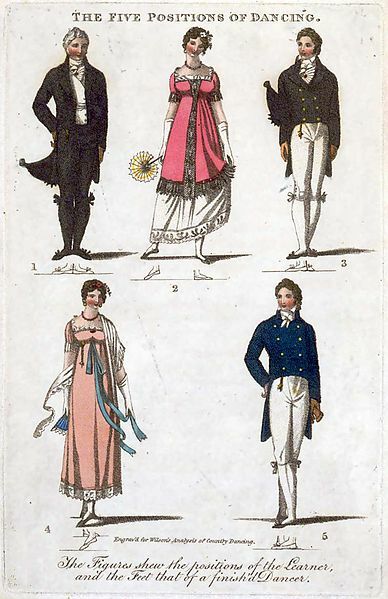 By the 1830s, most of the figures of quadrilles were being done using only walking steps. 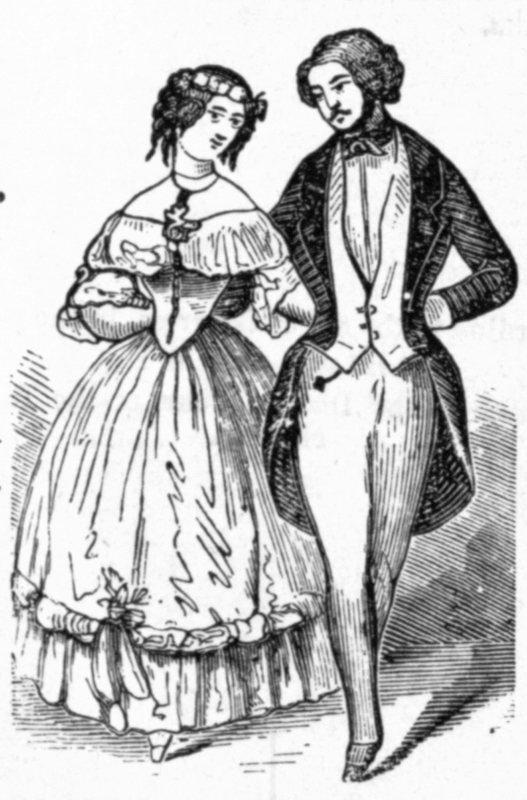 By the 1840s any of the steps mentioned above were out of style in ballroom dancing; using them in 1850 would have been seen as vulgar and exhibitionistic. John Thomas Sharf and Thompson Westcott, History of Philadelphia 1609-1884, Philadelphia, 1884, Vol. 2, p 964. People have always learned social dances in many ways. For most, watching others dance out in public and imitating their moves was the easiest and most common way; a little practice at home and they were set to go. The advent of movies and later, of television dance shows, like “American Bandstand” in the 1950s, added another dimension to this learning model. Some would-be dancers spent a great deal of time and money in dance studios and academies studying with professional teachers. 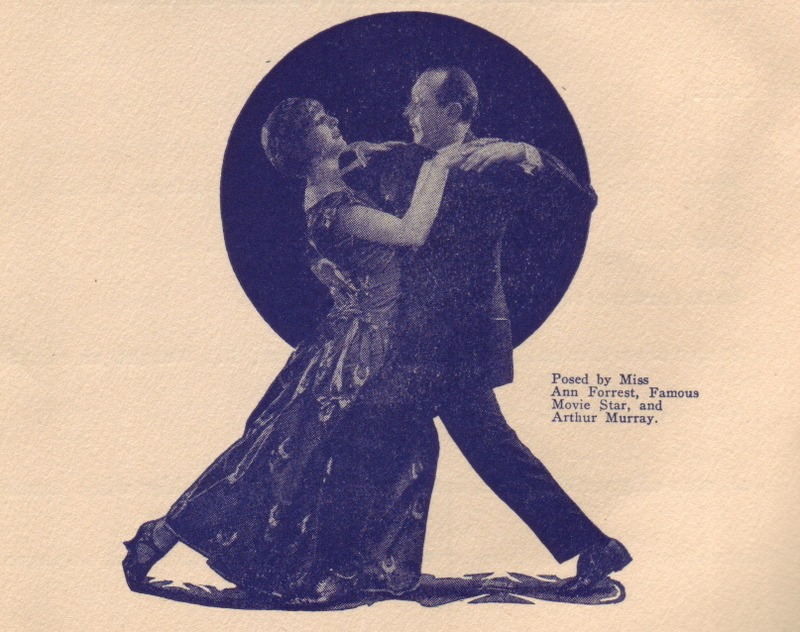 For others, the next best thing to studying with a master was buying his or her “Learn to Dance” book; Arthur Murray made his name and fortune through the mail order home-study dance courses he promoted in the early 1920s. It’s the published dance texts and their authors that we’re going to examine here. Printed dance manuals are our primary sources for learning about the details of dances of the past. The social hierarchy that developed during the Industrial Revolution created a need for books of rules and regulations to help navigate the complex social landscape, so these handbooks proliferated through the 1800s. 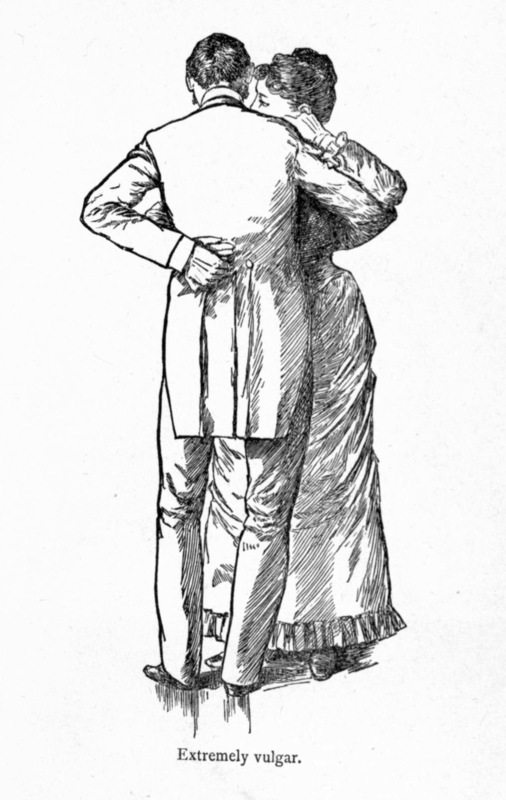 The typical nineteenth century dance manual contained a brief preface on the history of social dance, an essay on the physical and mental benefits of learning to dance, a section on dance steps and technique, example, right, a reference section on specific dances, usually organized by type, and almost always a guide to ballroom behavior and rules of etiquette. Nineteenth technological advances in printing, such as the use of steam power and the invention of the rotary press, made made these books and pamphlets cheap to produce and affordable to more people than ever. Dance masters and mistresses wrote these books for a number of reasons. Some did it specifically for their own students, some to publicize their classes and themselves, some simply for extra income. Many stressed that their books were meant as a memory aid and were not meant to replace personal classroom instruction. Some authors simply translated popular European manuals of the time, (Americans were still very much influenced by European fashion). Even the ones who created new works borrowed heavily, even verbatim, from other dance manual authors, sometimes acknowledging them, sometimes not. The issue of copyright and intellectual property did not become much of a problem until the twentieth century. These detailed dance manuals, although primary source for the study of dances of the past, have their limitations. Above all, they are still limited verbal descriptions of complex movements and interactions. Contemporary readers would have been familiar to some extent with the dances and the ballrooms they were done in; they didn’t have to work to place them in a long-gone aesthetic and social milieu the way that we do. Most manuals were written for a specific place and social class and all of them reflect the biases and limitations of their authors. Finally, there was then, as today, a difference between the rules and ideals that dance masters were prescribing and what was actually being done in private parties, dance halls and ballrooms. Every dancer makes a dance his or her own. Over the next few posts I’ll examine the works of several Philadelphia dance masters who published books between 1817 and 1922. I’ll discuss the format and content of the books as well as details of the lives of the authors and the part they played in the fabric of Philadelphia’s changing urban life. “An American Ballroom Companion: Dance Instruction Manuals,” The Library of Congress. http://memory.loc.gov/ammem/dihtml/dihome.html (Last accessed March 3, 2013). Ever since the 15th century, when the first dance manuals appeared to teach Italian nobles how to dance “correctly” at court, dance masters have been telling their students what and how to dance: “do point your toes,” “don’t shake your shoulders,” “do pay attention to the music,” “don’t show off,” and on and on and on. . .
By the end of the 19th century dancing in America was, in the eyes of some, in a sorry state. 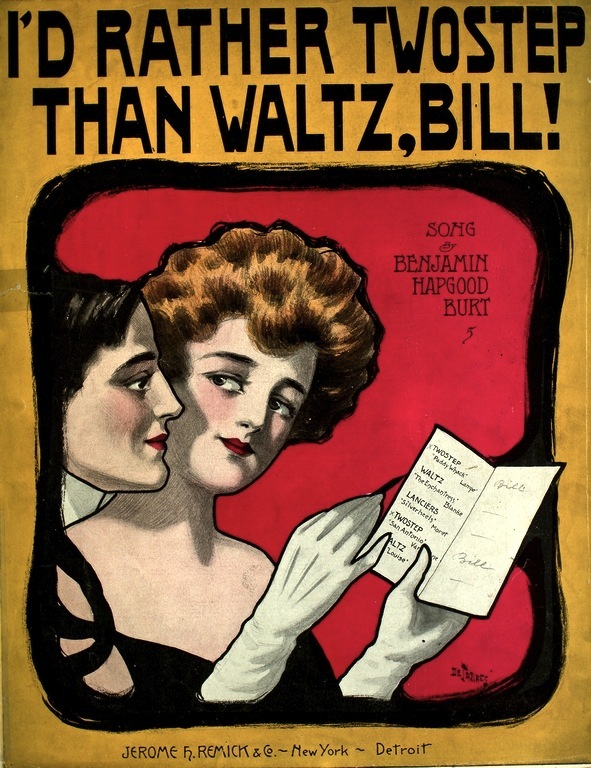 The intricate, European dances of mid-century–the polka, the mazurka and the waltz–were being slowly edged out by the simple twostep, a dance some referred to as the “idiot waltz,” see sheet music cover, left. No one needed hours of study in a class led by a professional to romp the twostep. In 1879, alarmed at what they were seeing, dance teachers from across the country formed the American Society of Professors of Dancing. Four years later, in 1883, the National Association of Masters of Dancing was formed in Boston. In 1894 the International Masters of Dancing held their first convention in St. Louis and by 1905 there was a United Professional Teachers of Dancing. Smaller organizations and chapters sprang up to combat problems on a local level. In 1893, the Philadelphia Association of Teachers of Dancing announced that they had enrolled nearly all the prominent dance teachers in the city. At their meetings during the summer, often held at the Jersey shore, they would announce what dances would be fit to grace Philadelphia ballrooms that fall season. 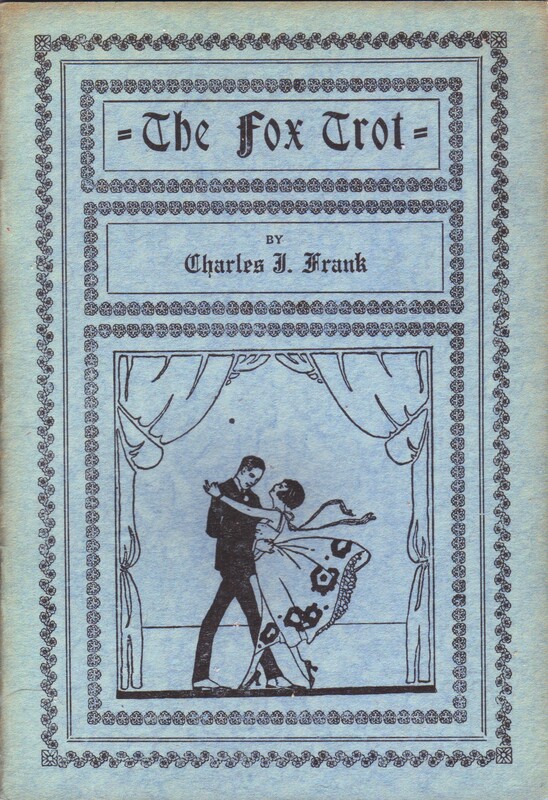 In 1894, for instance, they introduced “The A l’Avenir,” “The Waltz Lancers,” and the “Chautaqua Square.” In 1914, they took it upon themselves to take on the newest dance, the foxtrot, and agreed to standardize five easy to learn figures. They dealt as decisively with the other ragtime dances that flooded ballrooms in the teens. They wrestled with the hesitation, the maxixe, and the onestep, and reduced them all to scientific formulas. 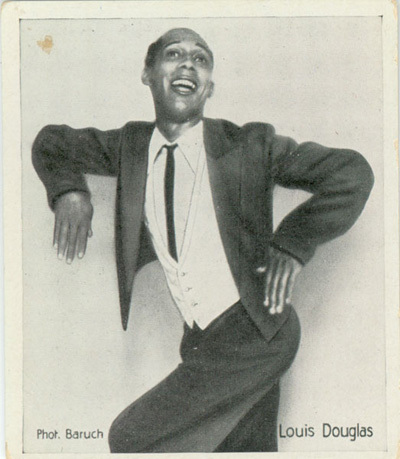 Philadelphia dance master S. Wallace Cortissoz demonstrates the “onestep maxixe” for the Inquirer, above, left. 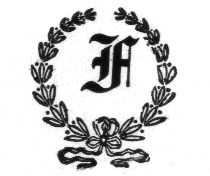 The Philadelphia Association was soon seen as a model organization for the rest of the country. 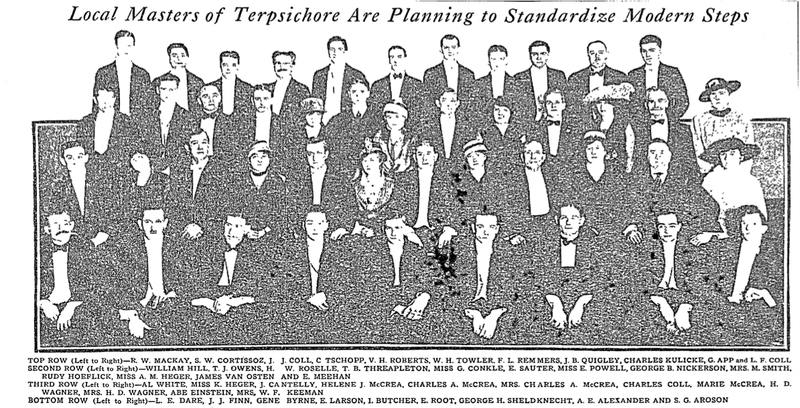 As the 1915 photo, below, shows, it indeed comprised all the most eminent dance teachers in the city. Mr. Cortissoz is second from the left in the top row of the photo. It’s difficult to assess whether either the Philadelphia or the national associations realized many of their goals. They were making a valiant effort to take control of their field, all the while promoting themselves and their services. Did they “clean up” the dances? Nagging couples about dancing too closely, or about hopping too much seemed all too much like simply taking the fun out of dancing. Teachers could demand strict posture and decorum in their classes, but monitoring what actually went on out in public was another story. Usually, the things they objected to were exactly what made new dances they tried to ban so appealing. Did they standardize dances? When the tango was introduced about 1913, a dance master complained that he had read over 120 variations of tango steps! Certainly, reducing dances to a manageable number of steps and figures made them easier to teach; standardization had its good points. However, just the fact that there were multiple national dance associations shows that in a large country like the U.S.A., there would always be regional tastes, styles and differences. Standardization of dances was much more successful in a small country like England, where dance masters from all over that nation taught identical curricula. Their success at standardization is one of the main reasons that the English became the main force in international competetive ballroom dance by the 1930s. It explains why competitors on Dancing with the Stars, a show created by the BBC, do British jive and not American swing dance. Did dance masters introduce new dances to the ballroom that caught on with the public? Hardly. It seems that dance associations were even less successful in selling their choreographies to the public than they were in banning dances they didn’t care for. At each convention, dance teachers would submit their own choreographies and the best new dance would be chosen by vote. 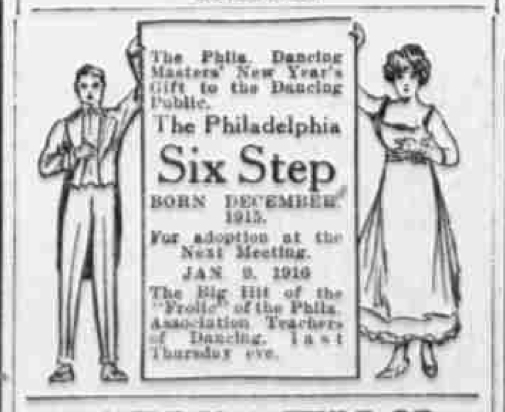 In 1915, the Philadelphia Dancing Masters created the “Philadelphia Six Step,” above, right, for which I would love to find music and directions. In 1920, they tried to replace the popular Shimmy with a dance they invented called the Radnor. 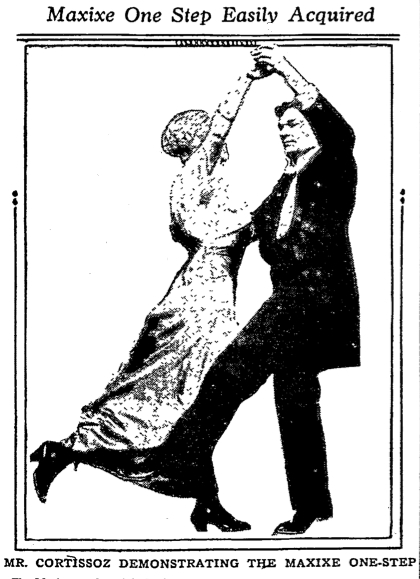 In 1921, in a misguided attempt to appease anti-dance Methodists, the Dancing Masters named one of their new dances for the season “The Wesleyan.” The Methodist Conference was so insulted, they issued a statement calling the action of the Dancing Masters “an outrage against decency and an offense to every Methodist.” The Dancing Masters Association withdrew the dance. At best, the dances the associations created had limited popularity among their own students. The fact that we have never heard of the “Philadelphia Six Step,” or of the “Waltz Lancers,” “Radnor,” “Chautaqua Square,” or almost any other dance association creation for that matter, says a lot. The tension between systemization and spontaneity, between doing what is correct and doing what is fun has, I think, led to the extreme dichotomy of social dancing today, where we have highly technical and stylized competitive ballroom dancing on one hand, and the uninhibited and unstructured but socially engaging dancing done at weddings, parties and bars in the real world on the other. On Dancing With the Stars, when the couple voted off go out on the floor and do a final, unrehearsed farewell dance, do they break into a foxtrot, a samba or a jive? No, they just rock back and forth, exactly like you or I do. Throughout most of the 19th century, the dances that Americans did were the same ones being done in elegant European ballrooms; the waltz, the polka, the schottische and the quadrille. All that changed toward the end of the century, when the first American-born popular dance swept over the country, then the world. That dance was the cake walk. Like most of the later dances that America would export to the rest of the world – think the charleston, the lindy hop and the twist – the cake walk was a distinctly African-American product. The cake walk’s exact origin was already more myth than fact by 1899, but it was probably born on southern plantations around the time of the Civil War. During their Saturday night dances, slaves would exaggeratedly mock the stiff and prim way they had seen white people dancing. They strutted and pranced, using canes props and odd costumes. The dance thus held many layers of meaning. For slaves, it was a joyous realease as well as a veiled jab at white masters. For the same masters who looked on, the cake walk could be seen as an innocent amusement performed by slaves who “couldn’t dance any better.” The exaggeration and theatricality of the dance naturally led to competition, with a cake being offered as the prize for the best dancers. 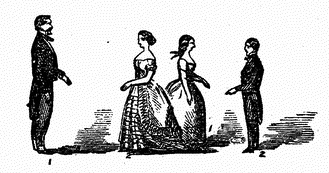 By the 1870s, the cake walk had travelled from the plantation to the minstrel stage. 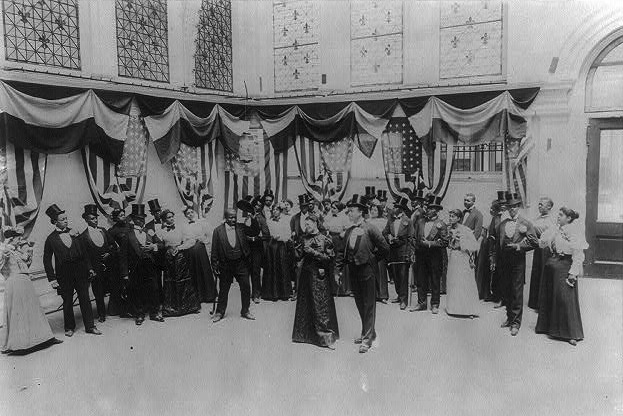 Philadelphia’s Centennial Exposition of 1876 featured a romanticized recreation of ante-bellum plantation life that included a cake walk contest. 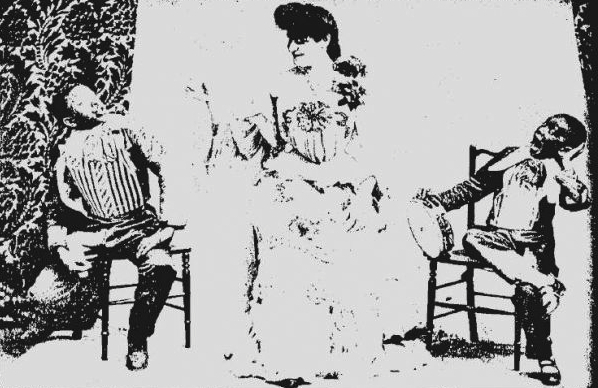 In 1877, vaudevillians Edward Harrigan and Dave Braham published “Walking for Dat Cake,” above, left, and launched a flood of cake walk compositions that introduced the dance to a broad range of audiences. Before long, expressions like “that takes the cake,” or “that was a cake walk” entered America’s everyday vocabulary. In February of 1892, the cake walk craze burst onto the scene with a huge “Cake walk Jubilee” held at New York’s Madison Square Garden, see a contemporary photo, “Cake walk Leaders,” above. Not to be outdone, that same month, Philadelphia planned its own “mammoth cake walk” to be held at Horticultural Hall on Broad Street, right. The lady who would take first prize would not only be awarded a cake, but an upright piano, while her partner would receive a gold watch. The second place couple would receive a plush coat for the lady and a silver watch for the gentlemen. The third place couple would be awarded a sewing machine and a silk top hat. The prizes were all on display at Blasius & Sons piano shop on Chestnut St. near 11th St. for a week before. On the night of the event, the huge hall was packed. 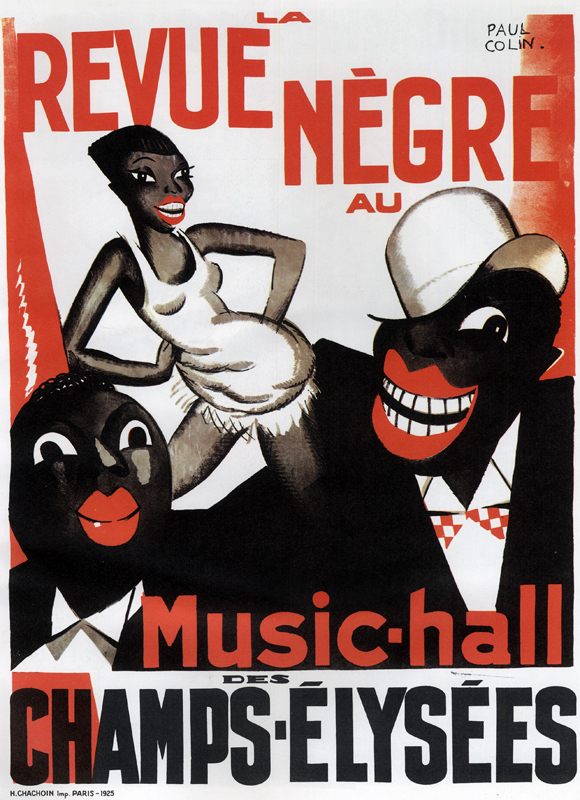 The audience was mixed, with blacks outnumbered fifty to one by whites, and women outnumbered four to one by men. City Councilmen, Magistrates and the Fire Commissioner all attended. At 9 pm, the Washington Grays Band struck up a grand march and the “walkers” appeared, to thunderous applause. All eleven couples competing were, as the rules demanded, African-American. After two preliminary cake walks, during which the contestants were judged by style, grace and execution, finalists were narrowed down to four couples. At last, after much of the audience had cheered itself hoarse, the first place was awarded to Miss Martha Pitts and Mr. John Montier. 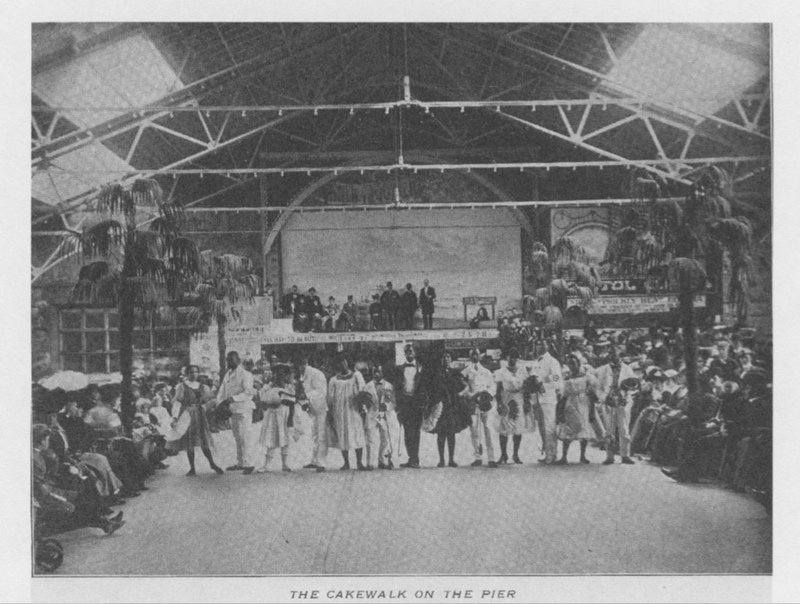 The evening was so successful and the response of the audience was so positive that the cake walk was assured of becoming an institution in Philadelphia. Not only was the Cake walk Contest repeated annually at Horticultural Hall, but similar “Cake walks and Colored Jubilees” were held at The Academy of Music and other large venues as well. 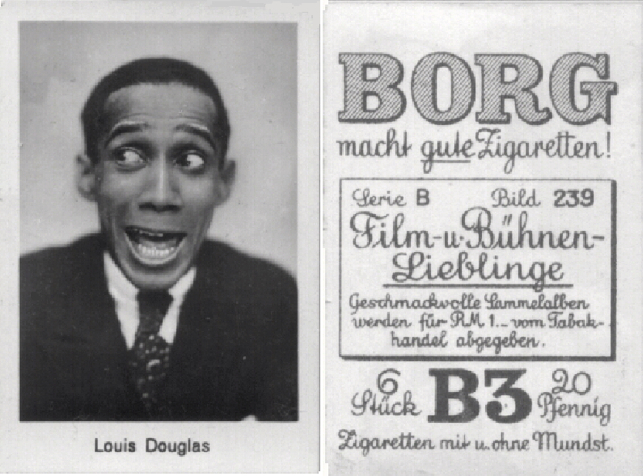 Philadelphia hosted all the companies of mammoth, all-black productions that began touring the country. “Black America,” with a cast of over 300, performed at the Grand Opera House on North Broad Street in 1895. 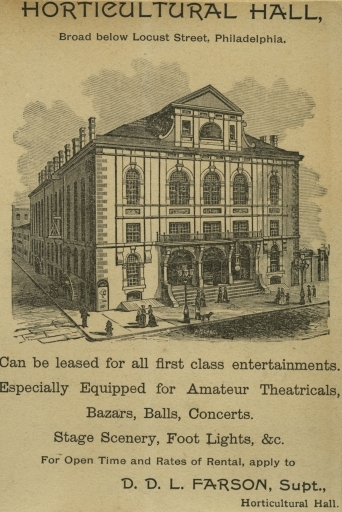 The Primrose and West Minstrel Show, above, performed at Gilmore’s Auditorium on Walnut St. in 1896. Smaller vaudeville houses like Carncross’ 11th St. Opera House began featuring African-American acts who performed elaborate cake walk finales. These cake walk production numbers were possibly the first time that whites and blacks performed together on stage. 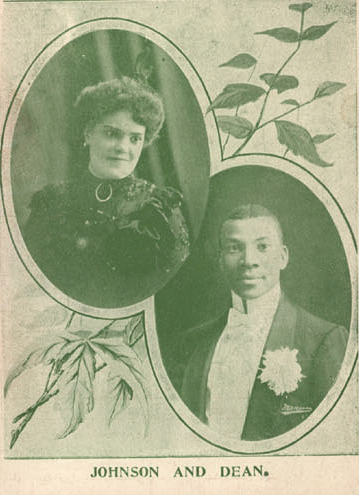 In 1897, Charles Johnson and his wife, the beautiful Dora Dean, left, introduced the graceful, elegant style of cake walk to the Broadway stage. 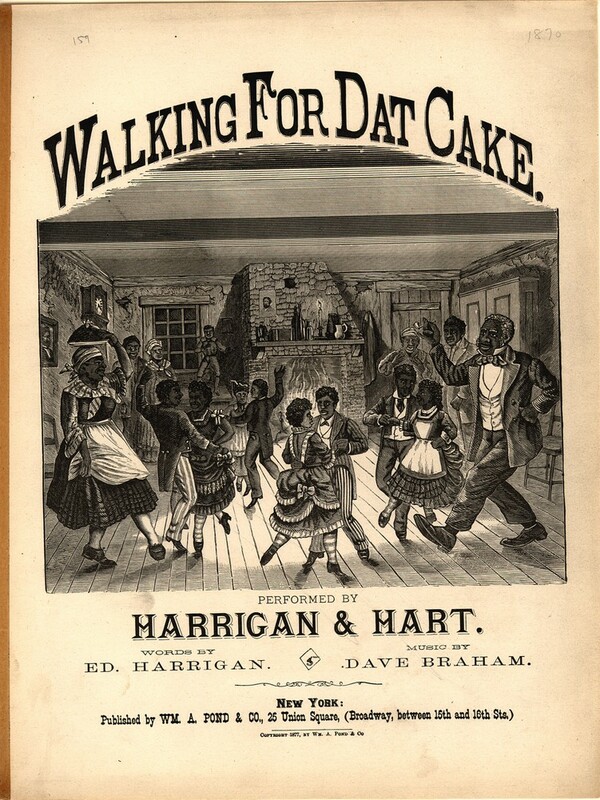 Many in the black community had objected to cake walks, seeing them as “black people making fools of themselves for the amusement of white people.” Transformed by performers like Johnson and Dean, the cake walk would open the door for a new wave of African-American performers at the turn of the century. 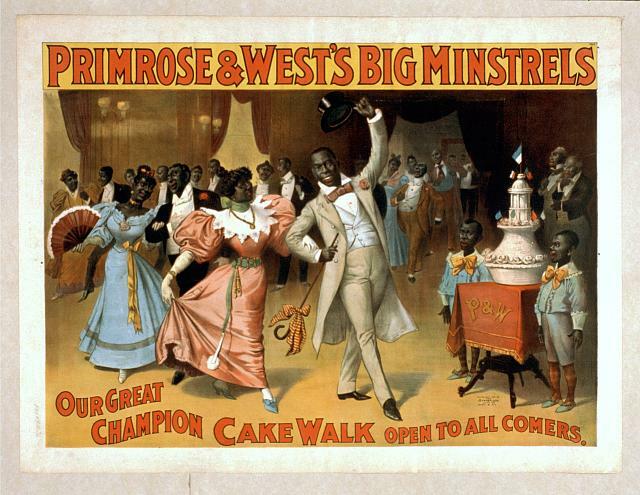 Throughout the 1890s, Philadelphia’s black community sponsored local cake walk contests with one neighborhood or ward competing against another. Prizes were often awarded for both the best comic interpretation and for the most graceful. Often these contests were used as ways to raise money for African-American charities. At first, white charities would hire African-American performers to entertain at functions, but then white Philadelphia caught the cake walk fever. The cakewalk became the first American dance to cross color lines. Dancing schools in fashionable areas began teaching the cake walk and hosting cakewalk contests for their white students. Elite “Society Cake Walks” became the fashion. White country clubs, Elks and Oddfellows lodges began presenting their own cake walks. There were Chinese and Japanese themed cake walks. The Tannheuser Wheelmen bicycle club even presented a “Hebrew Cake Walk,” with ragtime songs performed entirely in Yiddish. 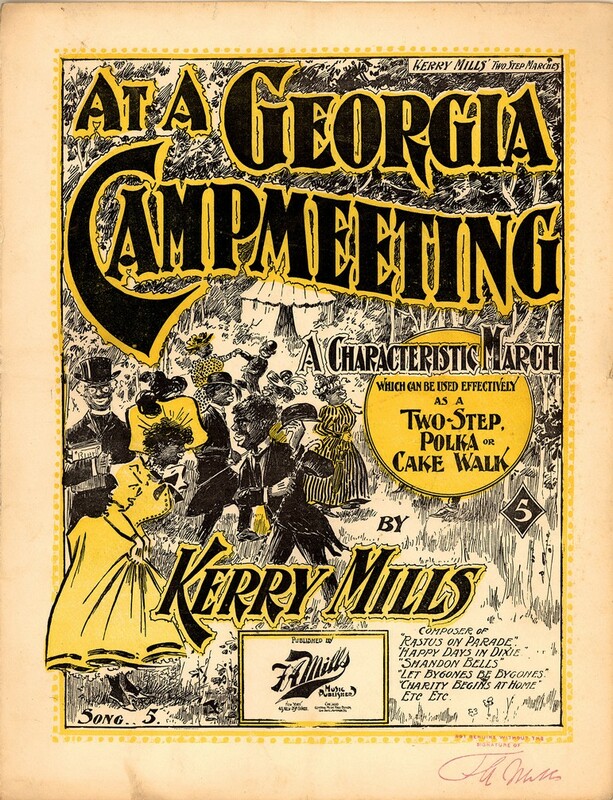 In 1897, the dance got another boost when ragtime composers like Kerry Mills began churning out cake walk music, left. The lively syncopation of the melody against a steady bass line made rag time tunes perfect for the cake walk. 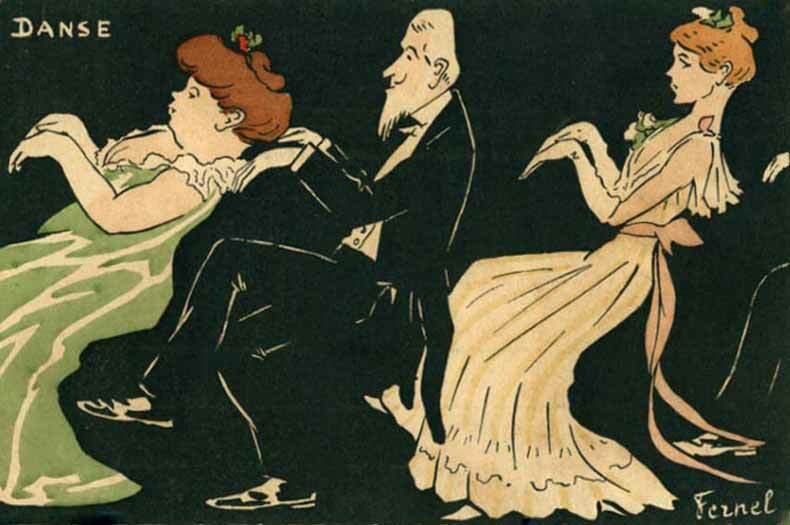 Cake walk illustrations were found not only on sheet music but in popular advertising as well. 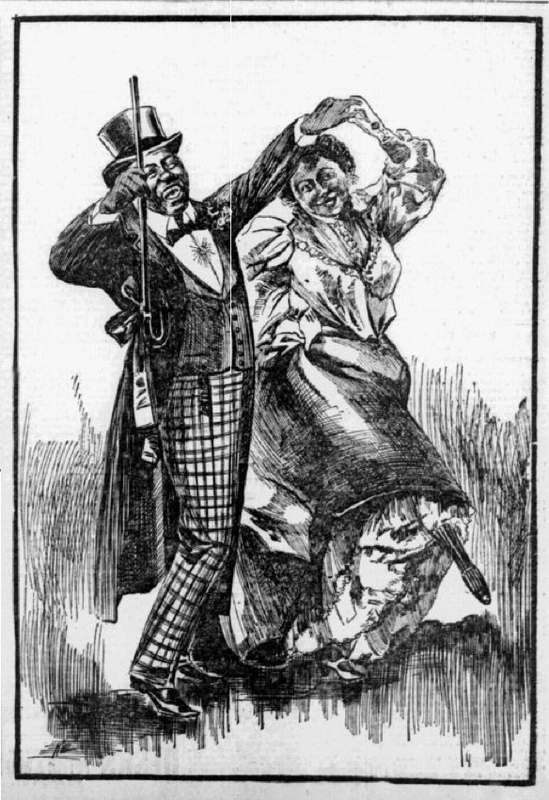 In 1899, acknowleding the “new cake walk craze,” the Art Supplement of the Philadelphia Inquirer’s Sunday edition published a “rollicking rag-time” picture, suitable for framing, right. Just past the turn of the century, the cake walk reached Europe. It became a huge hit in Paris, with French dance masters complaining that “Le Cake Walk Americain” had replaced the French can-can. As the Inquirer reported, “It is not only the worn out aristocracy that asks for new sensations from far off lands, but the idle bourgeoisie as well, grown neurasthetic in its turn,” below. After almost two hundred years of taking its cue from European society, America was beginning to export its home grown culture to the rest of the world. 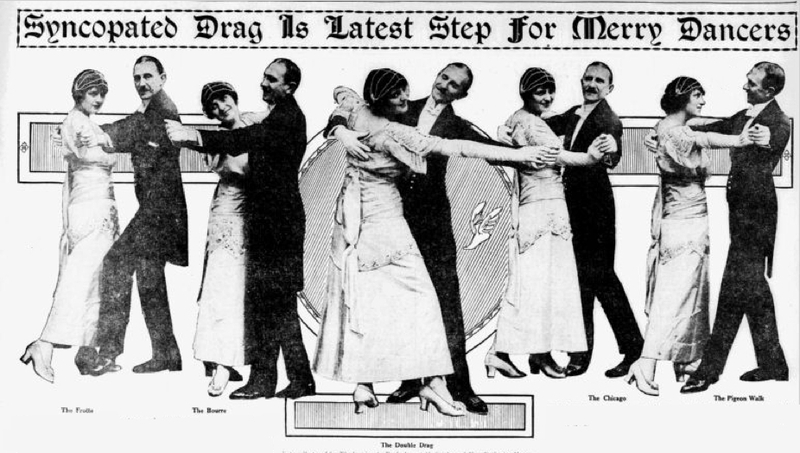 It had crossed color lines and international boundaries and had leaped from the stage to the ballroom floor, but by 1910, the “old time” cake walk was giving giving way to new dances spawned by ragtime music. Philadelphia would forget the cake walk as it dealt with the even more alarming grizzly bear, bunny hug and turkey trot that invaded its ballrooms.